BSW Engineers provide professional boiler repairs in Southwick and the surrounding area, ensuring you get first class support. All BSW engineers are fully qualified, accredited and on hand to assist with any number of issues regarding your central heating or boiler system. Our team are approved and qualified to work with all brands of boilers, including Glow Worm and Worcester-Bosch. Our team of certified engineers carry out boiler installations in Southwick for both private residential and commercial customers. If you are looking to replace the boiler in your home, our team can provide expert guidance and advice on the best options for you. We also work closely with architects and developers on new build developments and multi-site projects. If you need to roll out boiler installations across multiple properties, our team can assist you. 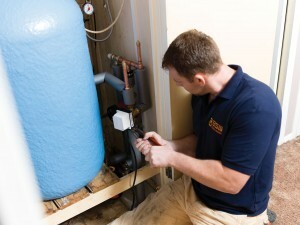 Having a boiler break down, particularly during the winter, can happen at the worst of times. With no central heating and no hot water, a situation can quickly become stressful and desperate for many families. As a boiler is such a key component to any home, BSW understands the importance of providing a dedicated repair service when you need it most. BSW engineers will also perform boiler replacements in Southwick and the surrounding areas, where a boiler is beyond repair. As fully Gas Safe and APHC accredited engineers, our expert team are qualified to install all brands of boiler. Established in 1962 and drawing from extensive experience across the South East of England, BSW’s professional team work extremely hard to ensure complete client satisfaction in every service we provide. Having grown from being a small, family run business to one of the leading central heating companies in the South East of England, BSW provide a wide range of services ideal for clients across the South East, including Southwick and the surrounding area. We have maintained our strong family ethics and values from the start, believing in providing customers with high quality, competitive service. In addition to our boiler repair and boiler replacements in Southwick, BSW are also fully accredited to supply and install renewables under the Microgeneration Certification Scheme (MCS). We offer a range of renewable energy systems depending on the specific needs of your property, including Air Source Heat Pumps, Solar PV Panels and Biomass Boilers to name a few. Following a boiler breakdown, if you are considering a more environmentally friendly way of heating your home, we can provide professional advice on all the options available to you. For more information on the range of services we provide for clients needing boiler repairs in Southwick, as well as performing installation and maintenance services for a range of different heating systems, please do not hesitate to get in touch with us today. You can contact us by filling out the enquiry form below or by calling us on 01444 831138 to speak to a member of the team. We look forward to speaking with you soon. You can also call us to arrange a free, no obligation visit to your home to assess your specific central heating needs and requirements. With a wide range of repair services provided including first class boiler repairs in Southwick and further afield, BSW Energy take pride in the professional level of service offered to all clients.